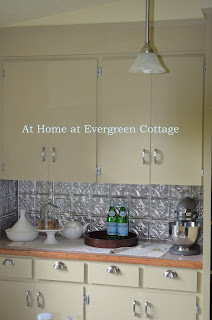 Like many I have an older kitchen, but I am not yet ready to gut the thing. So, I have done my own renovations to my kitchen. Yes. Me. 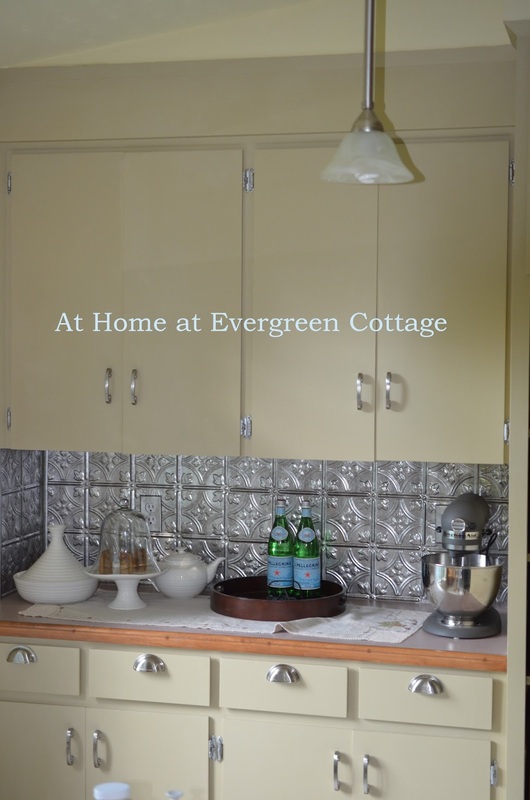 I have quite a few cabinets and years ago, when hubby was at the Lake, I had this brilliant idea of how I was going to make the bulk of my cabinets look good. That is a different blog post. I am still happy with "them". The remaining cabinets however, were a different story. I liked them for years in their pretty Wedgwood blue, but they really didn't match the rest of the kitchen now. So, that is were my product review for Rust-Oleum Cabinet Transformations come in! 1. sand, prime and then paint the cabinets. 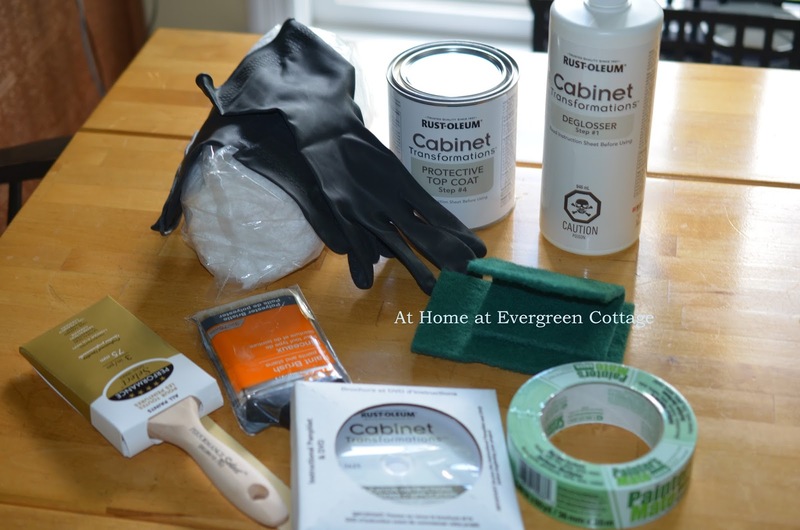 2. purchase the Rust-Oleum Cabinets Transformations. The cost was going to be roughly the same for whichever option I chose. The difference was going to be in the mess, the labour required and the time. After some consultation and discussion with the Home Depot Rep, I opted for Option #2. The kit is pretty complete. The only extras you need are plastic, painters tape and paint brushes. There is also an instructional DVD, which is awesome for those of us who are visual - which by the way is 73% of us. The instructions were straight forward. I read the booklet and watched the video. Because this involves my kitchen cabinets I wanted to make sure that I did this 100% accurate according to the manufacturers instructions. I don't want my cabinets looking like crap tomorrow, next week or even two years from now. The last finish was durable and looked great, despite the colour. The prep work was straight forward and once I had everything covered, taped up, hardware removed, and washed, I was ready for Step 1 - the de-glossing. That was easy and went well. In all, this took me about two hours. I then had to wait an hour before Step 2. Step 2 - applying the paint. The smell of the product was pleasant at first. I thought it smelled like cocoa. However, after two and a half hours of painting, I had a headache and this was despite good ventilation. The next day I applied the second coat and in some cases a third coat in order to fully cover the colour. Step 3 - applying the protective coat - a.k.a water-based varnish. This part of the process went the fastest. I consider myself quite a seasoned painter. I have been painting since I was a kid and I know how to paint. In fact, I am a careful painter and was wearing a good sweater and skirt the first night I was painting. I am cautious, take my time and precise. I was checking throughout the process for drips. When I went to bed that night there were NO drips anywhere. The next morning when I got up and went into the kitchen my eyes when directly to a couple of areas where the paint accumulated in ugly drip formations. I would not consider this a product/project for people just trying painting for the first time. I would not consider this product for people who want faster results and don't take the time to do things by the book. It was a good thing that I had plastic at home. The Home Depot Rep mentioned nothing about needing plastic to cover "stuff". She also tried to convince me to buy three new brushes because each step needed a "different" brush. That is not an accurate assessment at all. Because I clean my brushes properly I could have used the same brush. Additionally, the de-glossing does not use a brush. Instead you use the scrubby things provided "in the kit." 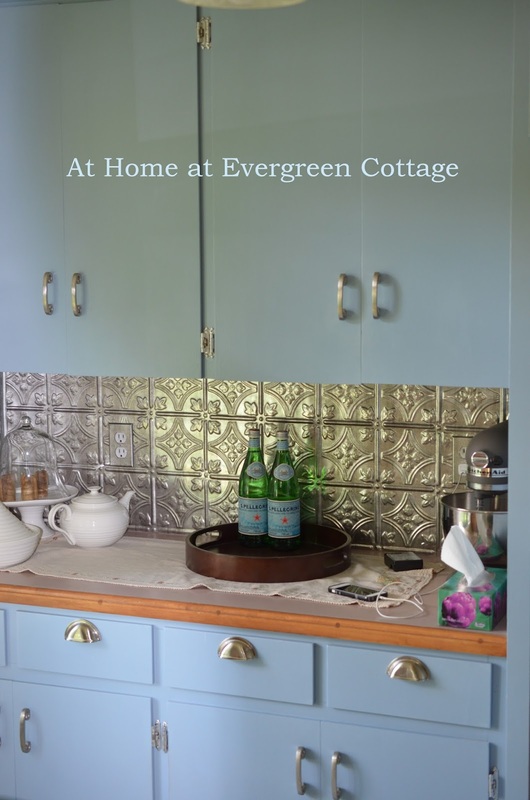 For now, I am giving it a "Let's See" approval rating from the At Home at Evergreen Cottage. Aside from the drip marks, the kit is well done giving you pretty much what you need, including great instructions. At this point however, I have my fingers crossed that the overall finish on the cabinets will endure. I am not yet convinced that I won't start to see tiny bits of paint coming off and then seeing bits of my old blue coming through. Fingers are really crossed tightly now. On a side note, there is also an option glazing process that you can do. Because my cabinets in this area are just plain and have no profiles, I opted not to try this part. It wouldn't have been an improvement. NOTE: I was neither approached nor paid to try this product or write this product review.